I was a bit young to remember our first trip west on Route 66 in 1959. Even photos of sun burnt family standing next to cactus, trading posts, gas pumps, and pops rusty old convertible don’t really refresh the memory but that might be because I was so young walking was a relatively recent endeavor. The trip west in ’66 was another matter. That entire summer is forever burned into my mind; the rusty old truck, the palpable feeling of excitement and apprehension that the folks vainly attempted to mask, the heat, the smell of hot engine oil, the boiling radiator, and gas stations with the heady aroma of tires, grease, and gasoline on a hot summers day. Most of all, however, was the struggle that came with the realization I would be starting school in a land so different from what was familiar, we might as well have moved to the moon. 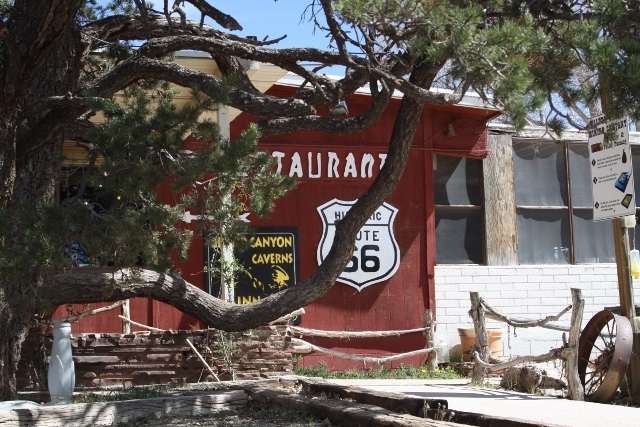 It was not just the landscapes that were so dramatically different from the ones I was familiar with in Michigan, Tennessee, and Alabama, it was the town of Kingman itself. Shortly after arriving in town, my older sister and I walked to the State Theater on a Saturday evening. Inherently I knew that something was very odd as the feature film was Gone with the Wind! 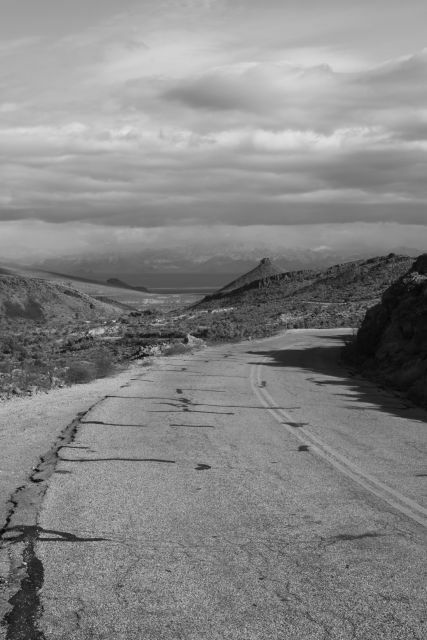 Things took a rather dramatic turn when we again moved, this time west of Kingman on Oatman Road, the pre 1952 alignment of Route 66. The few people who populated the vast deserts of the Sacramento Valley and into the foothills of the Black Mountains were not just eccentric, they were truly dry roasted nuts. Incredibly, I soon found myself fascinated with the land and the people, the history and the mystery of the deserts and mountains that were now my home. There is little doubt that countless John Wayne cinematic epics and books by Zane Grey played a role in this transition. Still, in my wildest dreams it would have been impossible to imagine that this wild desert land, and the broken asphalt of Route 66 would someday lead to Amsterdam, Germany, and countless places throughout the United States. Yet, here we are, my dearest friend and I, planning on attendance of the first European Route 66 Festival in Germany. Even more amazing, we know people all over the world who are more family than mere friends, and so the event will be nothing short of a laughter filled family reunion. The amalgamation of all my endeavors (books, presentations, photography exhibits, work as a tour development consultant, tour guide, podcast, blog, etc.) is now packaged loosely as Jim Hinckley’s America. Resultant of the demand for information about events, roads, motels, restaurants, museums, and special places led to the latest endeavor, Updates From Jim Hinckley’s America, a free subscription service (the subscription form is in the upper right column). From the perspective of today, looking back on what was, I am see an exceedingly odd and almost surreal adventure. It also leaves me looking toward the next thirty or forty years (I am a relatively optimistic person) with just a bit of eager anticipation.